No one in history has ever been successful alone. Is your business where you thought it would be today? If you’re like many business owners today, you have goals and dreams and a vision for your business, but aren’t sure how to take it to the next level. Whether struggling or successful, all business owners need assistance. We were designed for interdependence. Highly successful owners know that no one has ever been successful alone. According to the Small Business Administration, 85% of businesses fail in the first 5 years. 85% of those that are left fail in the first 10 years. What’s the difference between those that are highly successful and those that don’t make it? As the world changes faster and gets more competitive, it is difficult to keep up with industry innovations as well as the trends in sales, marketing and management. In the business world, working with a coach is a necessity not only for your success, but also for your survival. Business coaching is about helping employers and employees become more effective and efficient. Coaching influences adaptability, productivity, and retention. It’s near impossible to get a truly objective answer from yourself about your business. A Business Coach will always tell you the truth, even if you don’t want to hear it. The job of your coach is to hold you accountable to help you reach all of your goals, to help you determine where challenges will keep you from success and to help you grow and maintain the vision and skills necessary to achieve the level of success you want. Fresh ideas and creative approaches help you take on challenges like fierce competition, tight budgets and unexpected challenges. Get the expertise to tackle challenges head on, break through the lid to the next level and put groundbreaking systems and ideas to work to help you achieve the level of success of your dreams. With over 22 years of experience, your coach knows how to develop a business as well as develop and sell products and services in the real world. Our coaching involves the ability to understand you: to think how you think, and understand your perspective. From this benchmark, we will place another perspective on top of yours – stretching and growing you to gently see a more empowering way. As a certified John Maxwell coach, I can see what you are going through now and what is up ahead. Coaching is foreseeing, paving the way, coming alongside you while helping you achieve goals and overcome limiting paradigms. When I am working with you one-on-one, it is my highest objective to help you reach your purpose, vision and goals to meet your needs. Together, we will create a strategic, powerful plan for you to gain clarity through a process that includes interaction and accountability. When we are working in a group setting – although it’s not singular in nature – having the entire group’s input in thinking magnifies the richness of the discussions and results in developing solutions that are above and beyond what any individual can create. The cohesive bond that is formed empowers each person to develop the leader within and shine in a safe environment that nurtures the group as a whole. It is an experience unlike any other and follows the same premise as an academic think tank. We offer 15 FREE Explosive Growth Sessions per month for new clients. In these sessions, we help break down barriers that are keeping you from achieving higher levels of success and performance in your business. We help you blast through the lid to the next level and exponentially increase effectiveness. To reserve your spot for your Explosive Growth Session, click the button below. Most business challenges come from the fact that when building a business, we tend to miss steps. 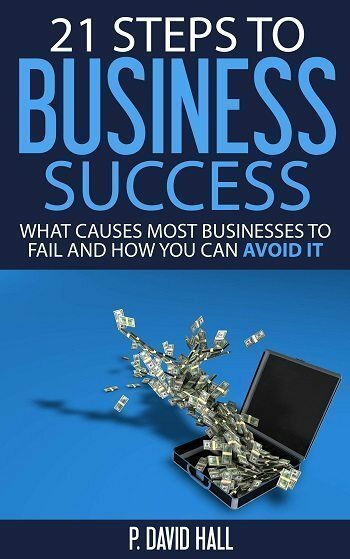 Get the 21 Steps to Business Success today to determine what you may have missed that is slowing down your business growth. We have manners! Please provide consent to send you the steps.